SET 1 - 8:00-8:20 PM - NIU LATIN JAZZ ENSEMBLE & FRIENDS PRESENT - CUBA! INTERLUDE 1 - 8:20-8:400 PM - DJ Gabriel and Carolina Velandia, Salsa Dancing! INTERLUDE 2 - 9:00-9:20 PM - DJ Gabriel and Carolina Velandia, Salsa Dancing! 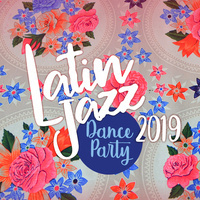 SET 3 - 9:20-9:40 PM NIU LATIN JAZZ ENSEMBLE & FRIENDS PRESENT - BRAZIL! Sponsored by: NIU School of Music, NIU Center for Latino and Latin American Studies, NIU Latino Resource Center, Campus Activity Board and Los Rancheros.